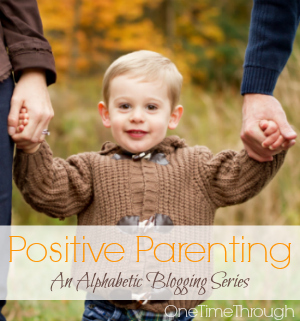 Welcome to the second post in the Positive Parenting blogging series. Today’s topic is parenting beliefs. Whether you’re the kind of person who is highly aware of the thoughts that are constantly running through your head, or the happily oblivious type (I wish that were me! ), if you’re stressing out about parenting, it’s likely that one of five thoughts may be playing in your mind and causing you grief! Today’s post will look at these five powerful parenting beliefs and how you can change them to make parenting a smoother, less-stressful adventure. And all in 10 minutes – just about the time it takes to read this post! 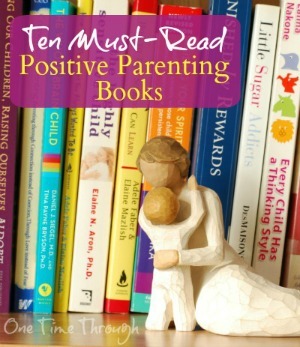 Before we jump into today’s topic, if you haven’t already, you might be interested in reading more about Positive Parenting – the approach that this series is based on. 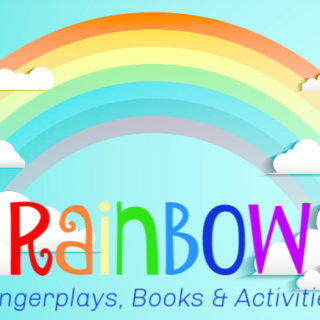 The goal for this series is to share positive parenting skills and knowledge, as well as examples of how the skills can be used with children aged 2 to 10. You can read more about me and my background in behaviour therapy and education here. How Are Thoughts, Feelings and Behaviours Related? Have you seen this diagram before? 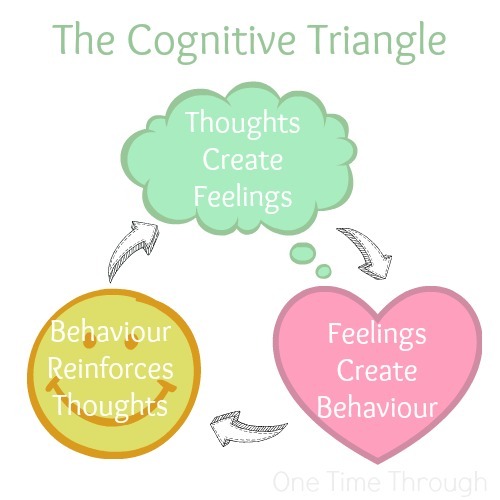 It’s referred to as the Cognitive Triangle and shows how our thoughts, feelings, and behaviours influence each other. 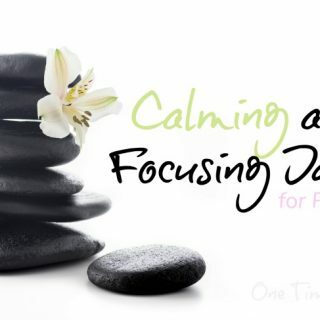 It can be a great tool to help us become aware of how certain thoughts that we have are negatively affecting our feelings (STRESS!) which of course impact our behaviour with our kids and students. The awesome part about this triangle is that if you change your thoughts or beliefs, it can significantly change your feelings, decrease stress, and positively change your parenting behaviours. Isn’t that cool? Here’s an example: Let’s say that you have a preschooler and a new baby at your house and your preschooler has started to hit the baby. If you believe that your older child is hitting the baby on purpose to be mean and hurtful, it can lead you to feel angry and you may find yourself yelling or wanting to punish the older child. How dare they hit the baby after all! However, if you change your belief and instead choose to think of your older child’s behaviour as an unsuccessful strategy for trying to communicate an unmet need or want (likely for your undivided attention), you probably won’t feel so angry. Instead you might feel more empathetic towards the older child. Which probably would lead you to try to comfort, connect, and reassure that child (and teach them more appropriate ways to express their anger) instead of yelling and wanting to punish. Do you see how that simple re-framing of your thoughts can impact how you feel and parent? It can be almost impossible to change how we feel about things in life, but we do have some control over what we think. Although it’s not easy sometimes to change thoughts or beliefs that we’ve had for a long time. If we practise noticing our thoughts and replacing them with more helpful and positive ones – it can make parenting a whole lot happier! What are some of the most common beliefs then that can cause us grief as parents? 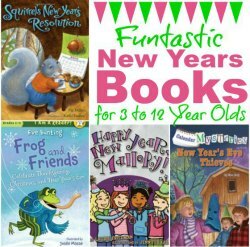 After talking with friends, fellow parents, and re-reading through all my favourite parenting resources, I found five biggies! 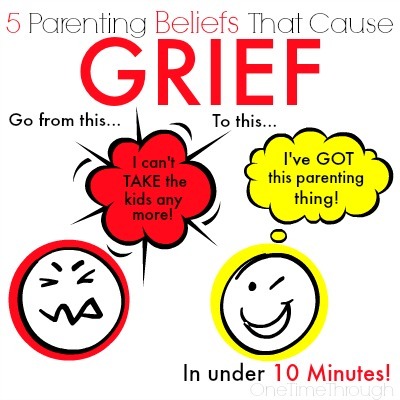 5 Common Parenting Beliefs that Cause GRIEF! Grief Causing Thought #1: My child misbehaves to make me angry. Some days it’s really hard not to let this thought trickle into your mind. 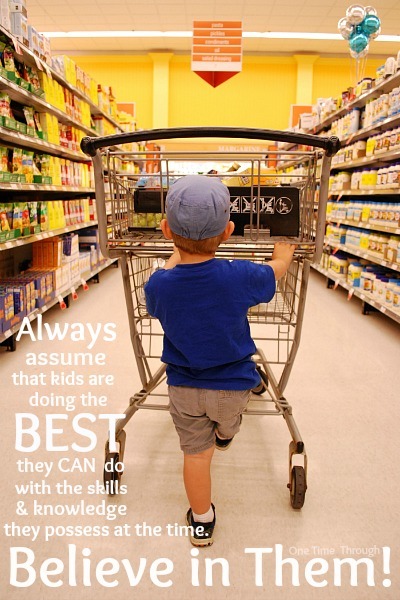 Especially if there are more days when your child is misbehaving than when they’re not! Of course they don’t! They want to have a happy, stress-free day just as much as we do! For example: A child who looks like they’re spilling their drink on the floor on purpose, may be just experimenting to see how liquids splash from a height. A child who is hitting, is not necessarily trying to hurt anyone, but is having trouble communicating that they are angry or upset with their words. 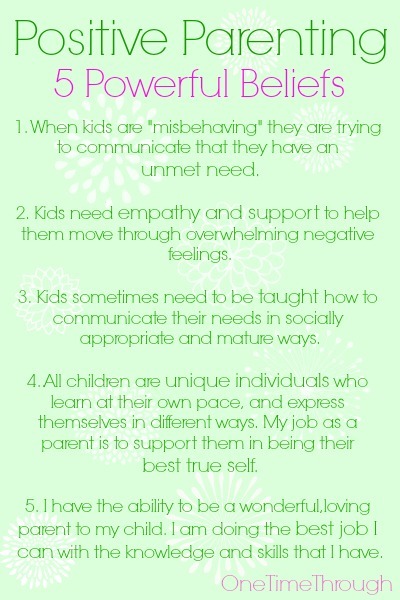 Kids’ behaviours are like a code that we have to interpret sometimes, and often what looks like misbehaviours, are really just ways that kids are trying to communicate unmet needs or wants. 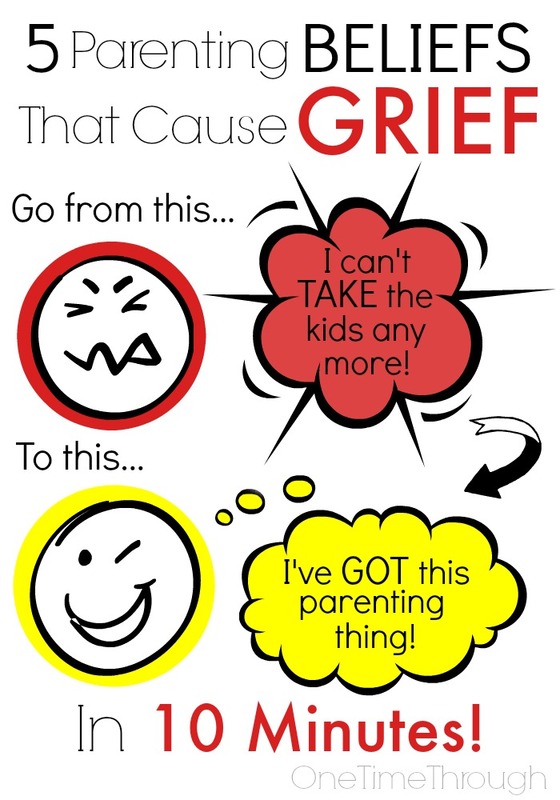 Grief Causing Thought #2: My child is having a temper tantrum to manipulate me to get what they want. Well – part of this thought may be true, and part of it is not. If a tantrum occurs after you give a “No” and you often change your mind and give in after a tantrum, then yes, your child may be tantrumming to get what they want. Kids will do what works after all! But most of the time, a tantrum is just a child’s way of releasing strong upset emotions that they are too immature to process in any other way. 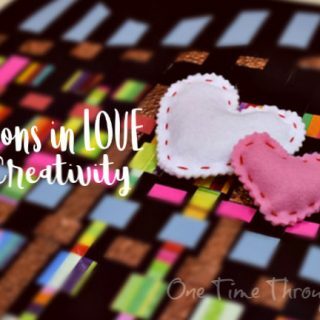 When my son, Onetime, started having tantrums as a toddler, I freaked out! I didn’t know what to do or how to best respond. I even blamed myself! Until I read Pam Leo’s book Connection Parenting: Parenting Through Connection Instead of Coercion and Naomi Aldort’s book Raising Our Children, Raising Ourselves . Both of these books have awesome tips for helping kids deal with their negative emotions in a constructive way that will allow them to come to regulate their emotions in a mature and emotionally healthy way as they grow. 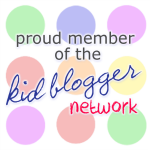 I share a bunch of their tips in this post: Crusing Towards Mellow: A Roadmap for Supporting Upset Kids. Positive Replacement: My child is really upset and needs my empathy and support to help process these big, overwhelming feelings of disappointment, sadness, frustration or helplessness. Grief Causing Thought #3: Kids always mean what they say. Have you heard any of these words yet? The first time you did they probably stabbed into your heart like a knife. The thing is, kids often say stuff they don’t mean – just like adults do sometimes. The trick is to look beyond these hurtful words and deal with your child’s underlying feelings. Often you’ll find that the child really doesn’t mean these things, but is feeling disconnected, sad, lonely, hurt, ignored, anxious or powerless. According to Adele Faber and Elaine Mazlish, authors of How to Talk So Kids Will Listen & Listen So Kids Will Talk , one of the best things you can do in response to these words, is to acknowledge your child’s feelings. It can be as simple as saying something like, “Wow – you’re feeling really angry right now!” To find more examples of ways to acknowledge feelings, read this post. Positive Replacement: My child is really upset and they don’t know how to communicate what they want or need in a way that’s not hurtful or attacking. You can complete this dangerous thought with just about anything: play with his brother without getting into a fight every time, share with her friends, always follow my directions the first time they’re given, sit still at the dinner table, hear a “No” and not have a meltdown, etc. The problem with this thought is that it is absolute, black and white thinking. There’s no room for flexibility. If the child does not meet your “should” criteria – you may feel disappointment, anger, shame, etc. This one tends to be a biggie for me – as I have a lot of “shoulds” in my own head for myself that I’m constantly battling! I have an amazing friend who is also a parent who constantly reminds me that this is a non-helpful thought (thanks Jenna!). Sometimes our expectations are too high for our kids with certain things, and sometimes we’re comparing our kids to other children, or sometimes we are feeling judgement from our own parents and family about our kids and their behaviour. Positive Replacement: My child is a unique individual who learns at his own pace in his own ways and he may need more time, reminders, or teaching to do what I want them to do. And they may never be that way – no matter what I do or say! 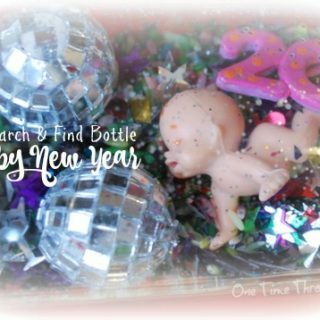 Again – you can fill in the blank with just about anything: play with my child every day, keep my cool and not yell, model a good relationship, keep the peace between my kids, be happy being a stay at home mom, etc. 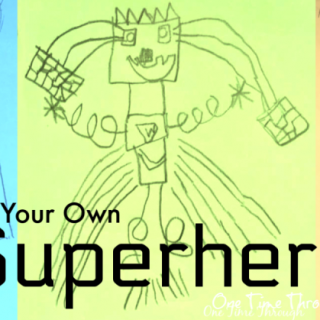 As parents – we often beat ourselves up about our ability to do the best job we can. Ahh…guilt – it’s a universal parental phenomenon! Below are all 5 of the POSITIVE powerful replacement beliefs in one spot. Why not share it with others by pinning it? I hope that you find these strategies helpful. I know at one time or another, I have used them all and continue to do so. It’s a conscious choice sometimes to think about things with a more positive perspective. The payoffs are big though. 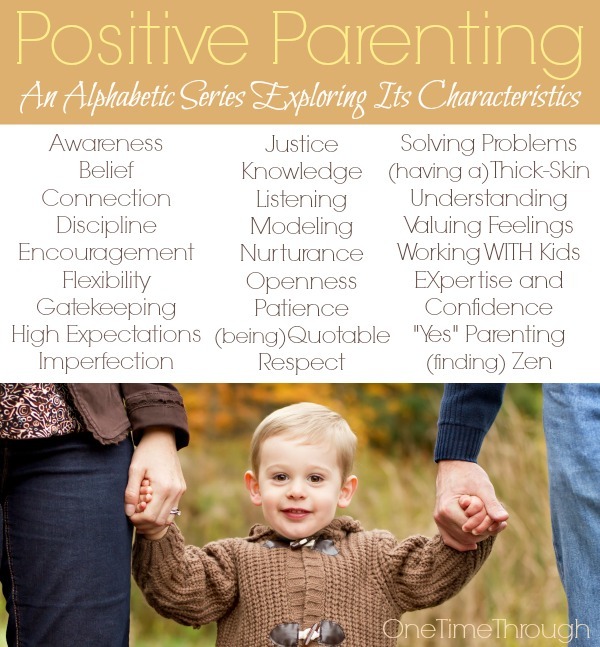 More positive thoughts and beliefs lead to more positive feelings, and more positive parenting behaviours. All things that lead to a happier parent, kids, and home! To find even more fun and educational activities as well as positive parenting tips, follow me on Facebook. Follow my Positive Parenting Pinterest board where all my posts will be added and where you will find all kinds of positive parenting resources from around the web! Thanks for joining me this week. 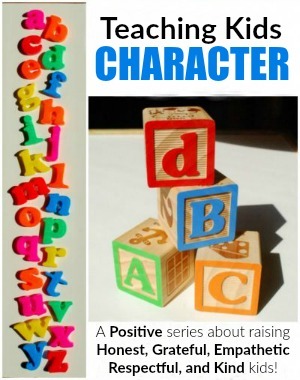 You can find all the series posts on the Positive Parenting Page. I really like this post and see that we have some things in common. I am a big fan of Alfie Kohn and have enjoyed some of the other books you mention. There sometimes needs to be a change in the way we think about what children are doing. I try not to use words such as misbehaving because if I was upset about something and trying my best to comminicate my needs no one would suggest that I was misbehaving. It is a word we ted to assign to those who are young and inexperienced. We all want to do the best we can at any given moment. Thank you for an excellent post. I will be sharing it. Oh no, I don’t think you are confusing anyone at all. It is one of the many negative words people use to describe behavior in children so I would be using it as well if I were writing about it. I was suggesting that people consider dropping words such as that from their personal vocabulary. I think they would find it helpful. I love this post and the positive replacements!